Image Credit: Caio Ribeiro, CC BY-SA 3.0. Warren’s Cave is best known as the longest dry cave in Florida. Roughly four miles long, its tight navigation is worth a trip to see. Fossils dating from the Miocence era have been found there! Follow a guided tour of limestone stalagmites, take a break and go camping, fish, hike, horseback ride, have a picknick, and boat all in one place! 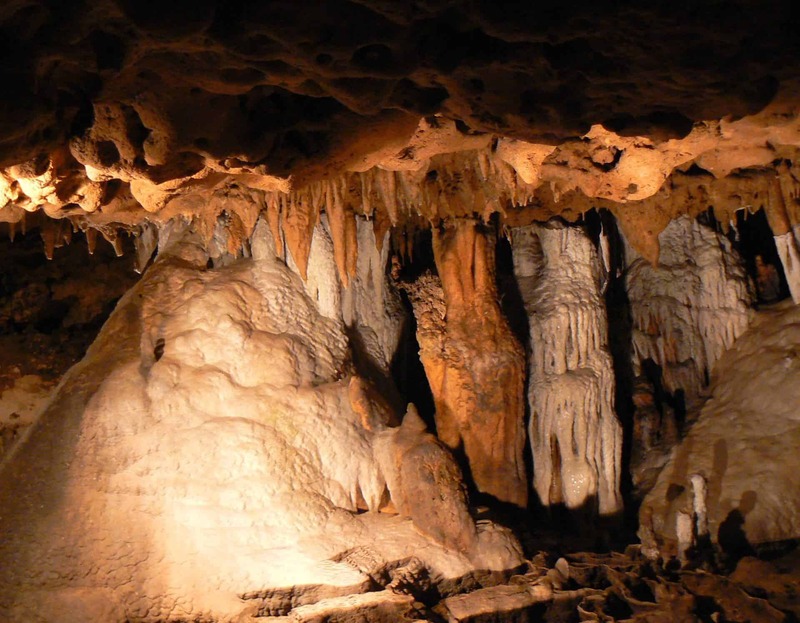 For more on Florida Caverns, visit the Florida State Parks website. 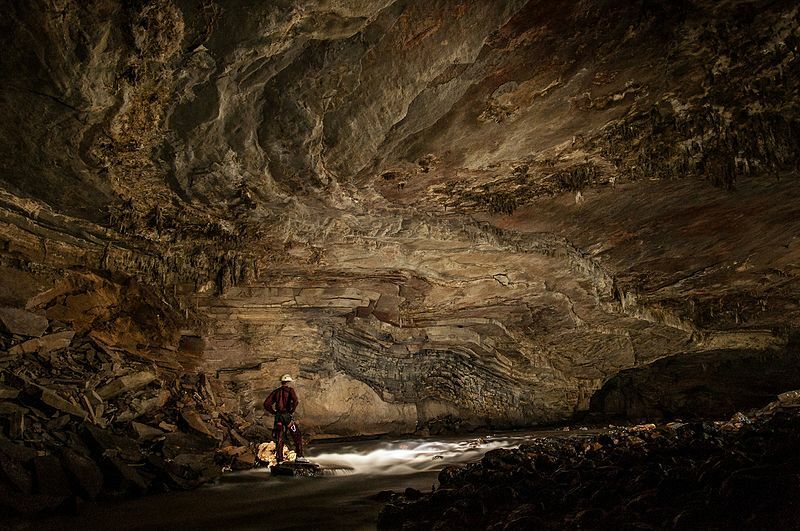 Dive below to find beautiful caves and an adventure not to forget. 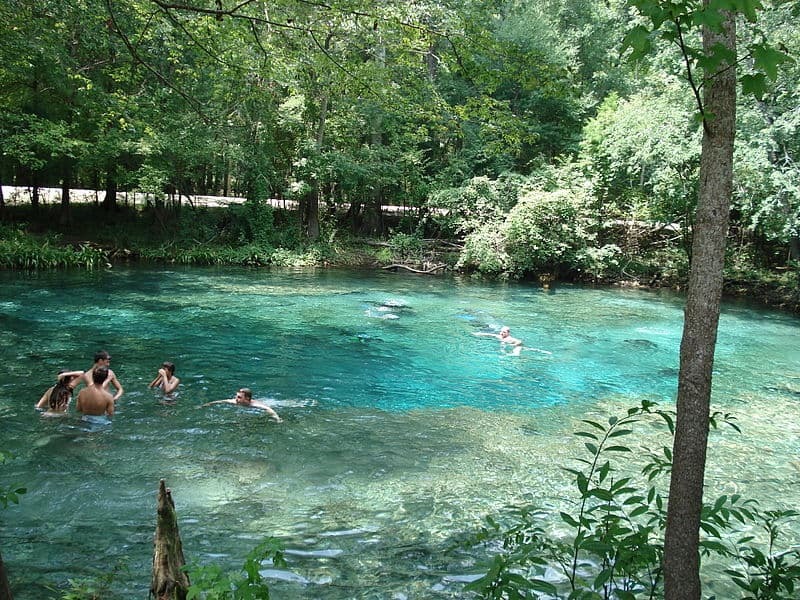 Ginnie Springs is home to an underwater cave, river tubing, overnight lodging, picnicking, canoeing, and volleyball. Feeling adventurous? 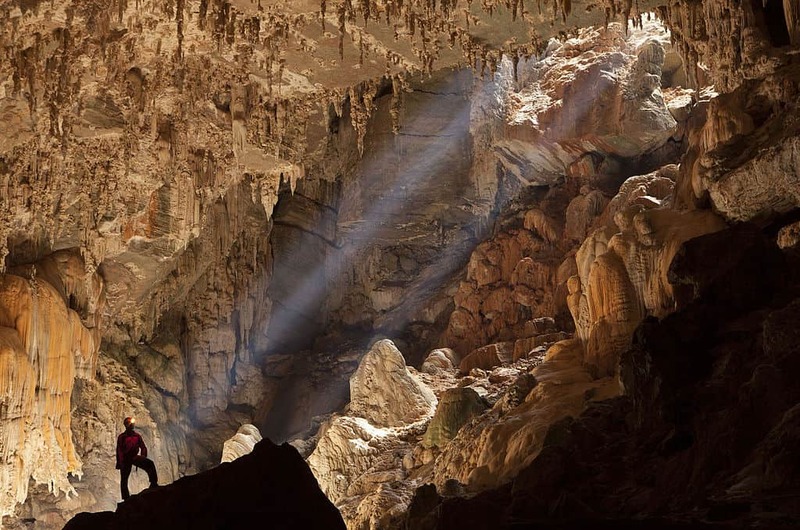 If you want to feel like you walked into a movie, visit the Terra Ronca caves in Brazil. Shown at the top and right, the Terra Ronca caves are filled with towering views from over 200 tunnels and caves. Image Credit: Rafael Rodrigues Camargo, CC 4.0. Walk into gleaming views at the Cave of Crystals. 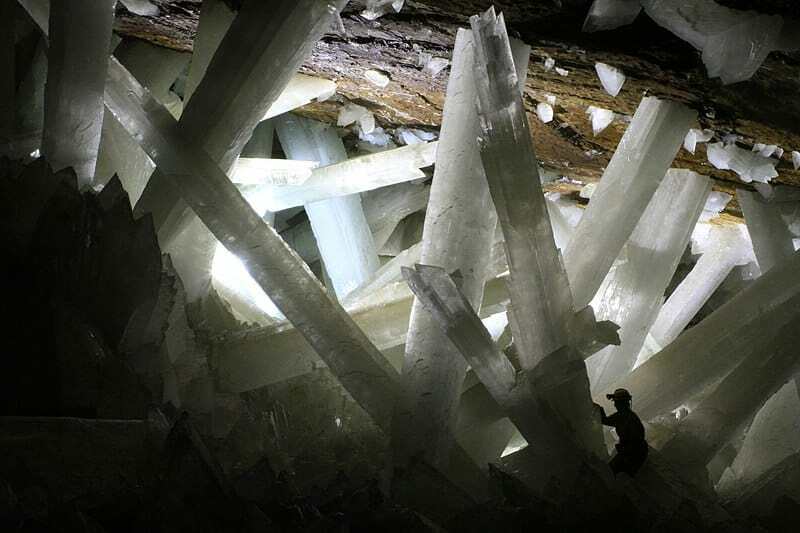 Massive selenite crystals fill the expanse at one of the largest crystal mines in the world. Image Credit: Alexander Van Driessche, CC 3.0.